Prices for Intel’s upcoming Haswell Desktop lineup have been leaked by the Chinese publication site of VR-Zone. The Haswell desktop processors which arrive in June would be priced similar to the Ivy Bridge processors which were released in April 2012. 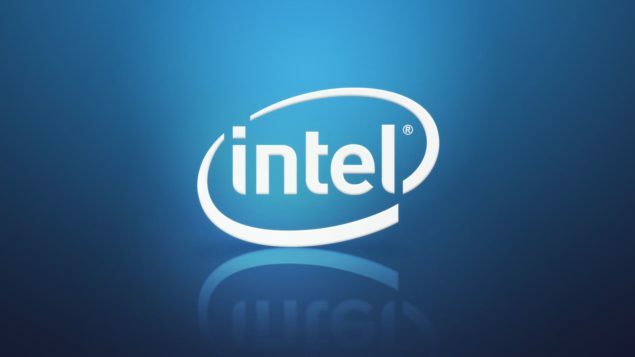 For a complete anaylsis of Intel’s upcoming Haswell desktop and mobile architecture along with details on Haswell’s overclocking features and the 4th Generation HD Graphics, you can see our IDF 2013 article here. Core i7-4770K runs at 3.5 GHz base and 3.9 GHz Boost clock. The CPU would feature 8 MB L3 cache, HD 4600 (1250 MHz) series graphics and an unlocked design. The chip would have a rated TDP of 84W which is higher compared to 77W on Ivy bridge based Core i7-3770K. Core i7-3770 would also feature the same specifications but a lower base clock of 3.4 GHz and a locked multiplier design. The low power Haswell CPU lineup comes with various TDP models ranging between 45-65W. The Core i7-4770S is the fastest with 3.10 GHz base and 3.90 GHz boost clock featuring a hyper-threaded design, 8 MB L3 cache and HD 4600 chip running at 1200 MHz with a rated TDP of 65W. The T-Suffix model comes with even low clock speed of 2.50 GHz till 3.7 GHz but has a lower rated TDP of 45W. The Core i5 lineup would consist of four parts, the fastest Core i5-4670K would be a quad core with base clock of 3.40 GHz and 3.80 GHz boost. The chip would not be multi-threaded unlike the Core i7-4770K and would feature 6 MB L3 Cache, HD 4600 iGP (1200 MHz) and a rated TDP of 84W. The i5-4670 is the same model expect that it doesn’t come with Unlocked multiplier providing no overclocking. The i5-4570 has lower frequency of 3.2 GHz and 3.6 GHz and the IGP runs at 1150 MHz while the i5-4430 further pushes the clock speed down to 3.0 GHz and 3.2 GHz with IGP running at 1100 MHz. Other specification remain the same. The Core i5-4670S is a quad core with hyper-threaded running at 3.10 GHz stock and 3.80 GHz boost with 6 MB L3 Cache, HD 4600 iGP at 1200 MHz and rated TDP of 65W whereas the 4670T has lower clock speeds but a TDP of only 45W. Other models can be seen in the specifications chart posted above. We don’t have any concrete details on the Core i3 lineup but they are to be based on dual core designs with TDP around 35-45W, Expect more details next month. It should be noted that Haswell Desktop processors would also be available in BGA packages with the Haswell R-Series branding which would come with the fastest GT3e graphics chip featuring an intergrated eDRAM cache module to further boost the graphic capabilities of Haswell processors. In June 2013, Intel would also released Haswell processor for their Denlow server platform consisting of the E3-1200 V3 CPUs while later in Q3 2013, Intel would launch the updated Ivy Bridge-E Core i7-4000 series CPUs for their HEDT LGA 2011 platform.